NYSE, NASDAQ, AMEX, BATS — Stocks and ETF. After opening an account our manager will contact you and set up the applicable tariff. With a turnover exceeding 200,000 shares per month, you get individual terms. A professional risk manager and autoclose system shall allow you to mitigate your trading risks and make your trading more profitable and efficient. This service is available to all users with active accounts. We highly recommend that Aurora platform is used for trading purposes which has been developed jointly with the leading experts of United Traders. 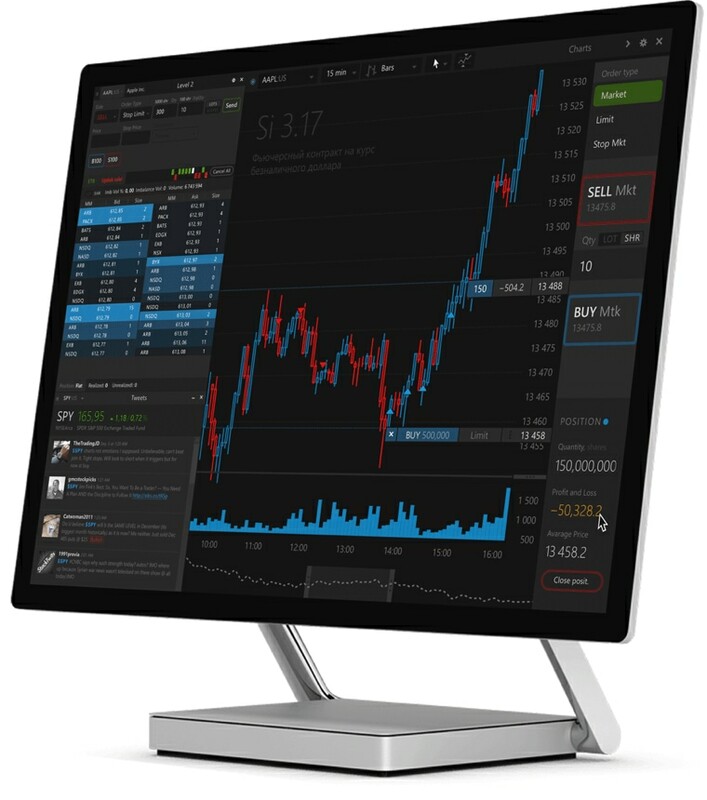 A user-friendly interface allows any newbie to start trading almost immediately, and an advanced risk management system enables any user to avoid any loss which may be incurred by a trader pursuing any relevant strategy.